It is easy to decide that you want to run a blog. You probably already have some ideas about what to write and how everything should look like. Maybe you know a thing or two about blogging, marketing, and website building, but if you haven’t worked on your own site, the chances are that you still don’t know which platform to go for. If you cannot decide between WordPress and Blogger, this comparison will help you choose the right one. Maybe you have heard about them from friends and colleagues, or you have already searched for comparisons – WordPress and Blogger are definitely among the most popular blogging platforms. So, the question arises; which one should you use for your first blog? What are WordPress and Blogger? Powering about 28% of the world wide web, WordPress is not a stranger to most people. Even if you haven’t blogged so far, we are quite sure that you have heard about the platform and even stumbled upon a few sites that are built with it. Since we have already talked about WordPress, please see what WordPress is and why it’s so popular. On the other hand, Blogger is somewhat different, but it still finds its spot on the Internet. Since it is owned by Google, many bloggers decide to give their trust to Blogger. The service is free, and all it takes is a free Google account (which you probably already have) to start your first blog. But, as it’s obvious by now, Blogger and WordPress have their differences, and that’s why we decided to put together this article. Before we start comparing Blogger to WordPress self-hosted version, we suggest taking a look at the video that compares WordPress.com to Blogger, so you have all the versions covered. Both WordPress and Blogger can be tagged as simple. But unless someone else hasn’t prepared WordPress for you, things get much more complicated than having a Blogger account. Although it is beginner-friendly, it takes the time to learn WordPress. Even before you can publish the first post, WordPress needs to be set up correctly. So, someone who does not have experience with the platform might drift away in the wrong direction. It is not that hard to install WordPress even for the first time, but the entire process isn’t as nearly easy as setting up a Blogger account that takes just a few clicks. With Blogger, things can’t be simpler. Unless you already have a Google account, you just need to register one. Then log in to Blogger, choose a template, and you are ready to start running your blog and publishing posts. Before you start the blog, it would be a smart idea to rethink the importance of ownership – do you want to own your blog or let others have control over it? WordPress is an open-source platform which means you, and anyone else can have it for free. Once you download the installation files, it becomes your responsibility. From the very moment you start hosting a site, you get the feeling that it is yours. And that is true. Even though you will probably be paying few bucks a month for hosting, the website is still 100% yours. So, it is possible to do whatever you want with it – move it, expand it, change it, delete it, etc. As a free service, Blogger is a property of Google. That means that guys at the company get to do anything they want with the service. Although it’s quite unlikely, it is still possible that the technology giant decides to shut down Blogger. And in that case, no one would care much about your content. How does that make you feel? Also, without any reason, Google may block you from accessing your own blog. While you are pretty much safe when we talk about Google, just knowing that you are not in control of something as personal as a blog may give you a headache. We don’t know about you, but we like to know that we can do whatever we decide with our own website or blog. Also, if you don’t like how the server performs or you want to change a few things about accessibility, Google won’t let you do much. The control is in their hands, and you can just hope that their decisions will affect you nicely. You may not be a web designer, but one of the most interesting parts of setting up a blog is choosing the way it is going to look like. How can Blogger and WordPress help you when it comes to the appearance of your site? Just looking at the official WordPress themes repository that provides free products, you get thousands of templates to choose from. Whatever niche you are interested in, there are hundreds of free templates that will help you shape the blog. If you decide to spend a few extra bucks, there are also thousands more premium WordPress themes that look even better and have additional features that will push your blog in the new league. Whether you go for a free one or purchase a premium theme, you still have full control over it. Most of the themes have a vast variety of customizing options that let you personalize the entire site. And a great part is that you get to modify source code as well. So, if you know something about HTML and CSS, you can change each and every part of your site. Even if you aren’t skilled enough, you can always hire a professional designer to make changes for you. In comparison to the self-hosted version of WordPress, Blogger falls way behind. While there is a good number of templates that you can apply to your free blog, the choice is quite limited compared to WordPress. And once you select a template, you only get to play with the limited number of customization tools. Don’t get us wrong; the customization options that come with Blogger are user-friendly and relatively useful, but they can’t relate to WordPress. If you plan on creating a custom theme or modifying an existing template in details, you can forget about it – Blogger simply does not allow that. 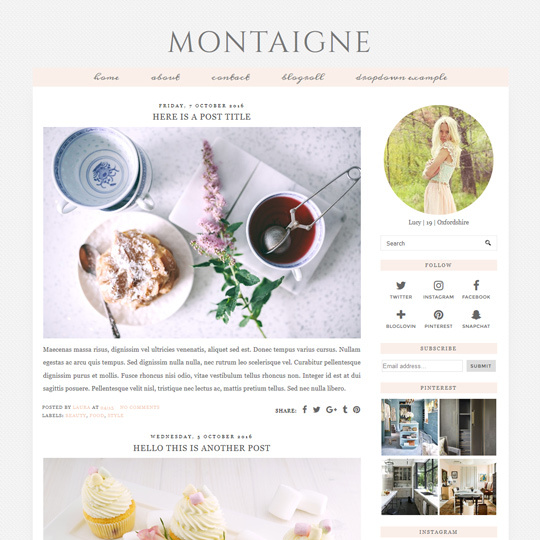 Even though there are some unofficial Blogger templates, those are usually better left untouched as they’re most of the times the low quality. Blogging is all about content management. Before you start writing your first post, make sure that the platform that you are about to use is well-built for blogging. Makes sense, right? WordPress has it all. Once you get accustomed to its standard editors, all other blogging platforms just won’t be able to compare. By using Visual and Text editors, it is a pleasure to add new content in WordPress at any time. Formatting text is natural and it takes just a few articles until you can relax and get to know both editors in detail. Managing media files is also intuitive, and it’s easy to add new images and videos. But since WordPress allows extensions, it is possible to improve both editor and media management systems to your likings. Many free and premium plugins will let you add stuff directly to the editor and allow you to reorganize Media Library if you wish so. WordPress makes blogging perfect both for casual authors and more experienced users who get to use HTML and CSS code directly from the Text Editor. 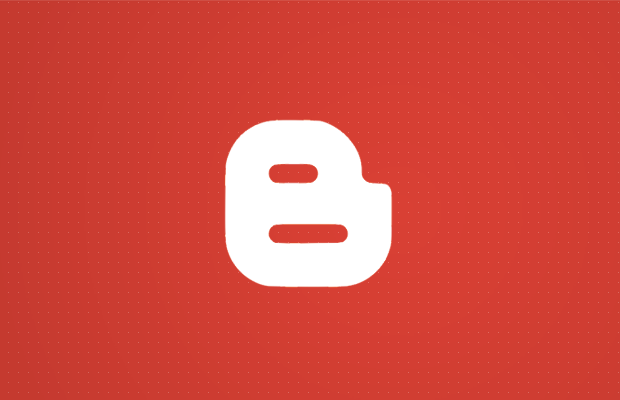 As its name already suggests, Blogger is made for blogging. So it makes sense that content management is done right. And it really is. Google made it easy to start your first post and to manage it without problems. 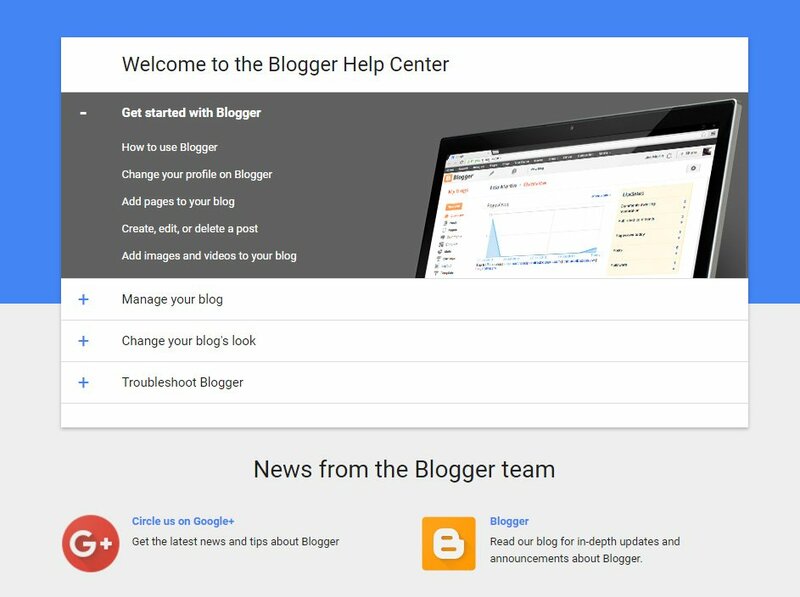 All it takes to start writing is to log into your Google account and open Blogger. If you have used other Google’s documents, the environment will look familiar. Blogger lets you enjoy writing. A simple bar on top shows all the options that allow you to format text and add media. Even experienced users need help from time to time. No matter how much you know about WordPress or Blogger, we are convinced that you will need support at some point. It takes time to master WordPress. Although it is very user-friendly, WordPress is full of features and options that take the time to understand. But when it comes to supporting, you can expect tons of online materials that will help you. Whether you open official articles that explain how things work or browse one of the numerous websites devoted to the platform, you will probably find the answer to your questions in no time. There are official support forums that hold thousands of threads. But when it comes to more complicated tasks, you will either have to solve problems on your own or hire professionals. Unfortunately, no support comes with the self-hosted version of WordPress by default. As it comes from Google, one would expect a lot of documentation for Blogger. But unfortunately, that’s not the case. Although there are documentation files to be found, the support is quite limited. You can even navigate your browser to support forums, but don’t expect much from it. Although you have to decide where to start your blog, that does not mean that you always have to host in on the same server or even use the same platform. Changing hosts is nothing unusual, and also many bloggers decide to switch from one service to another at some point. So, how do WordPress and Blogger behave when it comes to exporting content to another place? Switching hosts with WordPress isn’t a problem. You will have to know your way around servers and WordPress, but moving the data isn’t much big of a deal. Also, WordPress allows you to quickly export content of one site, and quickly import it into another one without any risk of losing the data. Even though it is possible to switch from Blogger to another platform, Google has made the task very difficult. The process of exporting the blog from their service is slow and complicated<. Also, while doing the transfer, you are risking SEO. Blogger does allow data export, but the truth is that Google stores your data for a long period of time even after you're done with them. Deciding between Blogger and WordPress should be a no-brainer. Although both platforms allow you to quickly start a personal blog, WordPress and Blogger are very different. While Blogger lets you start a free blog in just a few clicks of the mouse button, the platform is very limited. It is just good enough for those who want a simple blogging experience without many options. But anything beyond is practically impossible with Blogger. #Blogger is full of limitations. Choose #WordPress and enjoy #blogging the right way. On the other hand, WordPress is almost limitless. Not only that you can start a blog with it, but you can create any type of site that comes to your mind. You may even transform your blog into an online store, extend it with thousands of plugins and themes, and it will always be under your control. If you are ready to learn WordPress, we strongly suggest choosing it as your starting platform. As a website designer blogger using the Google Blogger platform I disagree with the part of your entry that states Blogger can not be customized. I started with a simple template in blogger but from there I customized almost every part of the appearance of my blog. I used my own background image, my own header, and I even changed the fonts and colors of every aspect of my theme. I made some changes to the html and to the layout. I definitely agree that blogger is simpler than WordPress but it is not limited. I would recommend Blogger to to anyone who wants a free nice blog that is user friendly and simple to customize and make it your own. Great job on the research. Valid information for anyone who needs it.